In the era of technology and innovation there is a revolution in television industry termed as OLED or organic light emitting diodes. OLED screen comprise no backlight panels as it's every pixel is self-emitting and making its structure quite simpler. Advancement in technology and growing interest of consumers towards advanced electronic goods which are durable and energy saver are the key factors driving the growth of OLED TV market. Huge expenditures over research and development of OLED TVs by big market players such as Samsung and L.G to provide innovative technologies to their customers and to attract new consumer base is expected to boost the sale of OLED TVs in coming years. Samsung and L.G being the market leaders in manufacturing of OLED panels accounted for more than 0.8 million units of shipments across the globe in 2016 which is expected to reach new hights of 5 million units by 2020. However, complexity of OLED TV at macro level compared to LCD and LED technology is making OLED TVs costlier than its older generation. 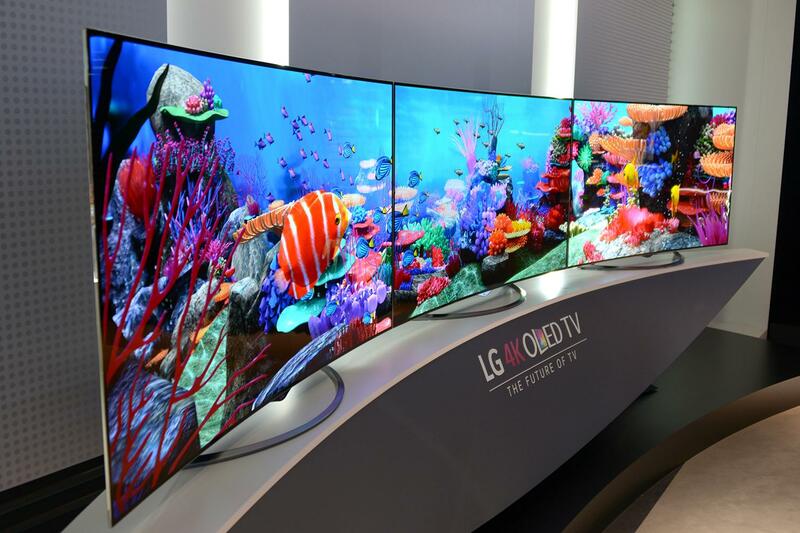 High cost of OLED TV is the key factor restraining the growth of global OLED TV market. Rapid urbanization and growing high disposable income population in developing countries is expected to propel growth the of global OLED TV market. For instance, Asia Pacific is fastest growing market with estimated 900 million TV households by 2020 with the increase of 100 million compared with year 2015. In Asia-Pacific region averagely there is 1.21 TV sets per home, which shows that there will be around 1.3 billion TVs in Asia-Pacific region alone. Growing popularity of smart TVs and smart content are also boosting the demand for OLED TVs in market. Popularity of NETFLIX and such other services are the reasons reinforcing this trend. Growing automobile industry and a sturdy competition between the manufacturers, there is always a need to provide better technology and various options to the consumers. Providing entertainment and utilities like in-dashboard music systems, hi-tech screens and navigation systems. There is a huge market growth in automobile industry. Not only in household and automobile sector there is a huge demand in healthcare and mobile phones industry for better and brighter screens. Growing healthcare infrastructure and the increasing dependency over the smart phones boost up the OLED screen usage and its market. However, complexity and high investments in the OLED technology, there is always a challenge to provide the OLED TVs at cheaper price. As, there is only few major players like SAMSUNG and LG who can easily manipulate the prices there is a need of competition to reduce the prices with time, but high cost related to its manufacturing and R&D is a major challenge for the new players. Lack of awareness among people for the OLED TVs is also restraining the growth of the OLED market. Global OLED TV market expected to garner compound annual growth rate of 23.1% over the forecast period owing to rapid urbanization in developing countries and expanding demand of multifunctional TVs in emerging market. The global OLED TV market accounted for USD 4.2 billion in 2016 and further the market is expected to showcase significant growth to surpass USD 22.1 billion by 2024. Geographically, Asia Pacific is expected to witness fastest growth in global OLED TV market over the forecast period i.e. 2016-2024. The market is majorly driven by the presence of major players in Asia-Pacific region such as Samsung and LG Electronics and rapid urbanization which is further going to propel the demand for consumer goods in nearby future. North America dominated the global OLED TV market in 2016 with more than 32% revenue share in overall OLED TV market. Middle East region is also anticipated to drive the growth of OLED TV market as huge investments are done in educational and health sectors in the region, and growth can be seen in demand for premium electric goods.